For two memorable evenings in September, Embassy Gardens will host a series of DJ workshops. Each masterclass, to be held on 19th and 20th September 2017 between 6.30pm and 9pm, will be led by two of London’s most experienced DJs: Bazza Ranks and Arveene. Both DJs boast over 15 years of international touring experience and will give attendees an interactive beginner’s guide into the world of music production and mixing. Guests will learn the basics of a variety of styles from House and Disco to RNB and Grime. In addition, the aspiring mixers will test out three equipment variations, incorporating Vinyl, CD and Digital Controller set ups. 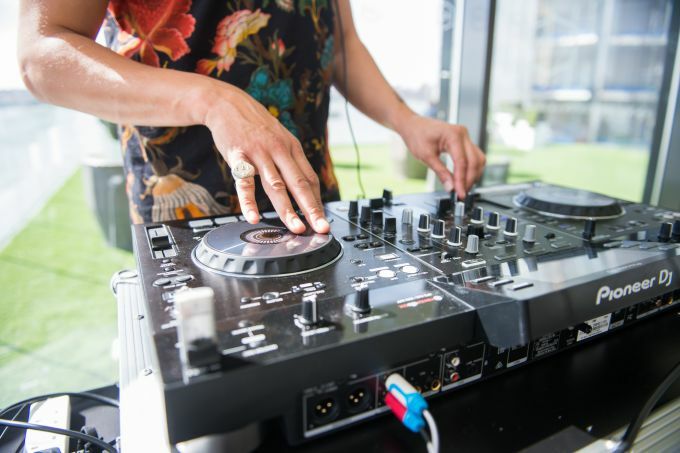 The tutorials, which will take place in the Embassy Gardens Marketing Suite on Nine Elms Lane, will be followed by intimate sets from both DJs, while guests can enjoy complimentary drinks and take in the panoramic views of the roof terrace. The announcement follows a successful programme of recent events at Embassy Gardens, including a Swimwear Launch by EVARAE and a Wellness Forum in collaboration with celebrity skin specialist Dr Nigma Talib. Embassy Gardens is reflective of Ballymore’s commitment to creating culturally vibrant neighbourhoods to live, work and play and the events programme provides the perfect opportunity to experience life at London’s most charismatic riverside community. All Embassy Gardens residents are members of the EG:LE club, an exclusive private members club which raises the bar on residential development amenities in London. The completed facilities include a private gym and yoga studio, traditional private library, screening room and lounge area. Future amenities for the development include the architecturally stunning and world famous Sky Pool, a transparent suspended swimming pool which links two buildings at the 10th storey. In addition the sky deck atop the two buildings will incorporate a spa, summer bar and Orangery, which will bring the relaxed feeling of the Mediterranean to central London, allowing residents to relax in a private space which brings the outside in. Embassy Gardens is a landmark development set within Nine Elms on the South Bank regeneration area. The apartments are only a 10 minute walk from Vauxhall Station making transport and commuting easy. Connectivity will be further improved when the northern line opens two new stations at Nine Elms and Battersea Power Station. The development will provide nearly 2,000 new homes for Londoners when finished and the first phase of the development is already complete and occupied.